Buying any kind of spice mixes in the supermarket is very tempting at some times. But it’s super easy and tastier to create your own! 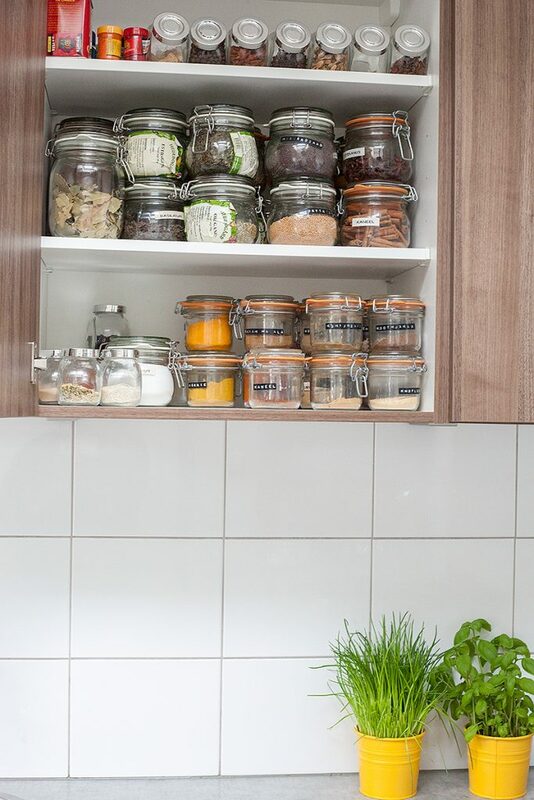 Especially when you already got a cabinet filled with all kinds of spices. And if you don’t got them already, there are a lot of other kinds of recipes you can use all those spices for. For example a vegetarian bean stew or homemade piccalilli. Give it a shot, you’ll discover a whole new world of flavor to amp up your dishes when you use a mix of herbs. You can buy all those spices in most supermarkets, or else it’s worth a trip to an Asian supermarket. 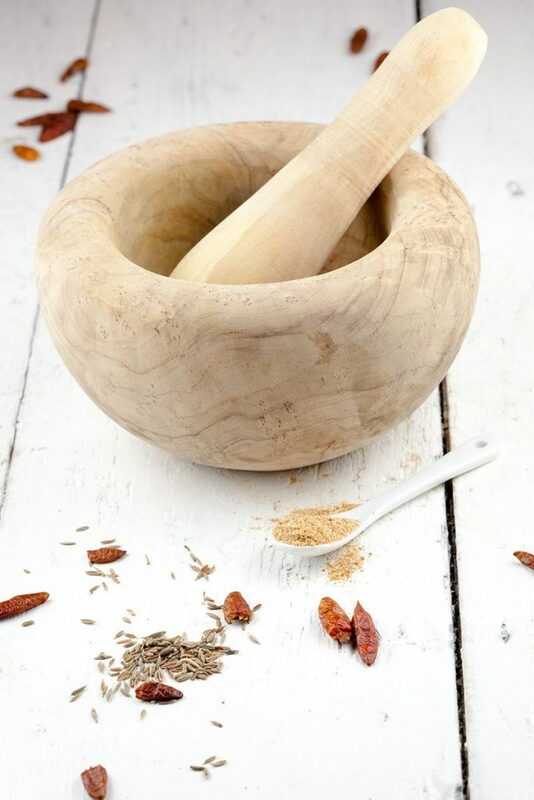 You can buy ground spices, or use a pestle and mortar to grind them yourself. Mostly to grind the cumin and coriander seeds. The best way to do this is by a grind and press movement at the same time. 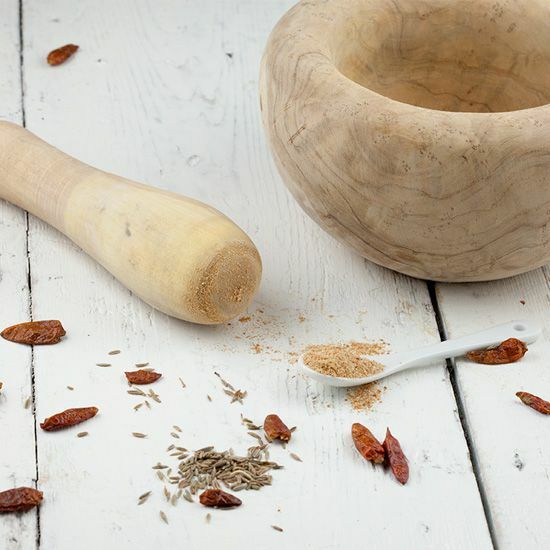 Grind until you end up with a smooth spice mix. 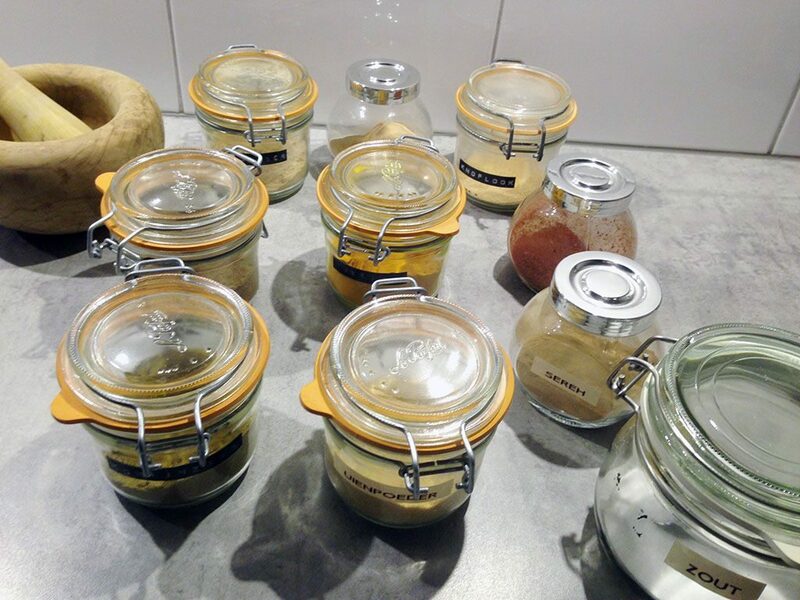 Store the spice mix in an airtight jar, such as a preserving jar. This way you will always have a batch of nasi goreng spice mix within reach. Enjoy! 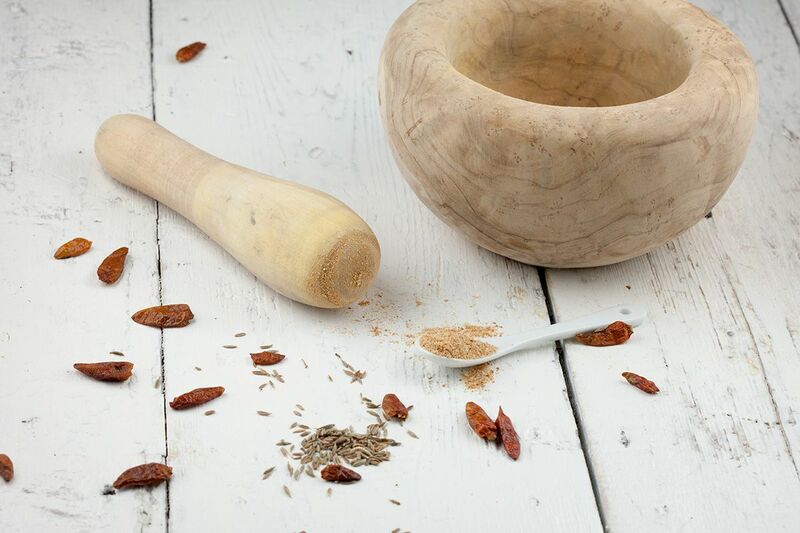 We put up an easy nasi goreng using our spice mix, and you can also use this mix for our devil’s stew recipe. Hope you like it! I am definitely going to make this, but how much and when do I add it to the rice? A Nasi Goreng recipe using this spice mix would be wonderful! Thanks!